While Paul Ryan was out filming his series on tax legislation he once again abandoned his duty to push border wall funding as he promised numerous times. Paul Ryan promised repeatedly to fund the border wall but never had any intention of fulfilling this promise. Now it looks like the Republican Congress will once again pass the buck in their latest spending bill and refuse to do the will of the people by not funding the border wall. 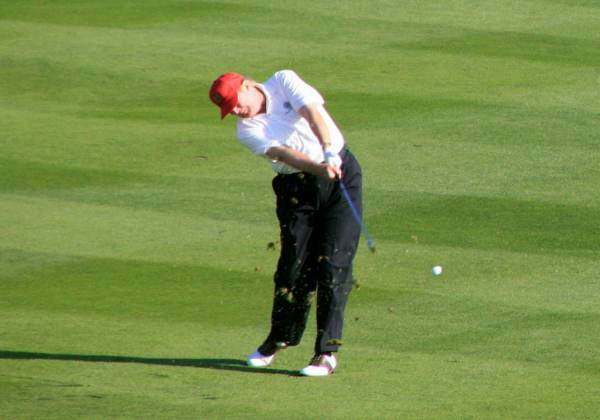 Rush Limbaugh, who met with the president earlier this week, told his audience today Trump should veto the spending bill and head to Mar-a-lago and golf. 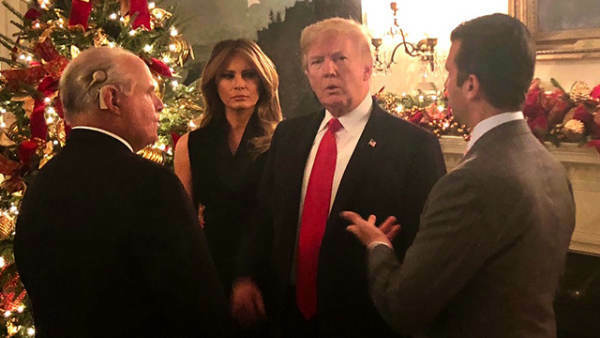 Rush Limbaugh met with President Trump, First Lady Melania Trump and Donald Trump Jr. this week at the White House Christmas party. Shortly after the election into the transition into Trump’s first term, all we kept hearing from the Drive-Bys was, ‘This man doesn’t know the Constitution! He doesn’t care. He’s gonna become a dictator!” Dictator? I don’t know what Trump is thinking about. I’ll tell you what he ought to do, my humble opinion. I just saw on Fox everybody’s breathless. (impression) “The budget deal! It might be signed. We’re down to the wire.” I get so sick and tired of this! It’s a game! It’s not even real! A government shutdown never hurts a damn soul, and every year at this time, “The government might shut down! It might shut down! It might shut down!” Trump should not sign this bill and leave for Mar-a-Lago, and tell them it’s not gonna get signed and their precious government’s not gonna get back up and running ’til there’s $5 billion. What are they gonna do? Impeach him? Huh?